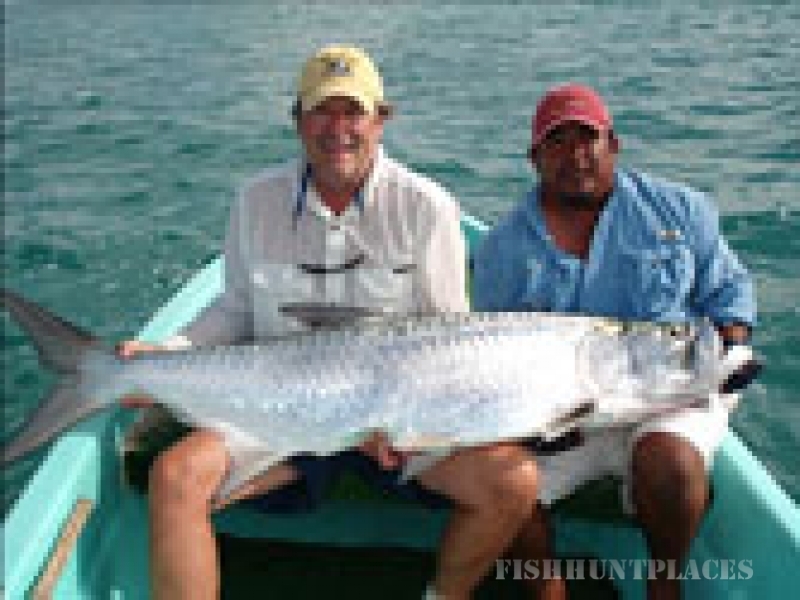 At El Pescador you can achieve the anglers' ultimate dream - a Grand Slam of bonefish, tarpon and permit. 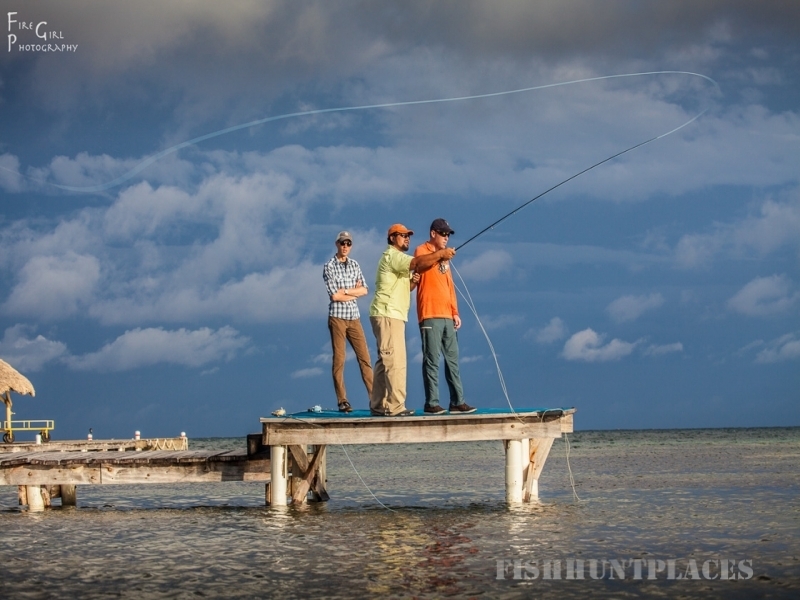 Belize's shallow water contains the only classic tarpon flats outside South Florida. Our flats are world renowned for offering the opportunity to site cast to tarpon 12 months a year. You can cast the lagoons for lady fish or snook, go outside the reef into the deep water for tuna and wahoo. Troll the reef for king fish or barracuda. Jig the bottom for snapper and grouper. The choice is yours. Permit are found on the bonefish flats, and on many of the tarpon flats as well. Our permit are found in large schools and range from 4 - 30 lbs, with the majority running about 8 - 10 lbs. Jack crevalle, barracuda, cobia and snook are also found on the flats and in the surrounding mangrove lagoons. El Pescador maintains kayaks and canoes which provide access to an extensive system of lagoons behind our property, where you can fish for bones for a couple of hours in spectacular solitude. These boats are available at no charge to El Pescador guests. 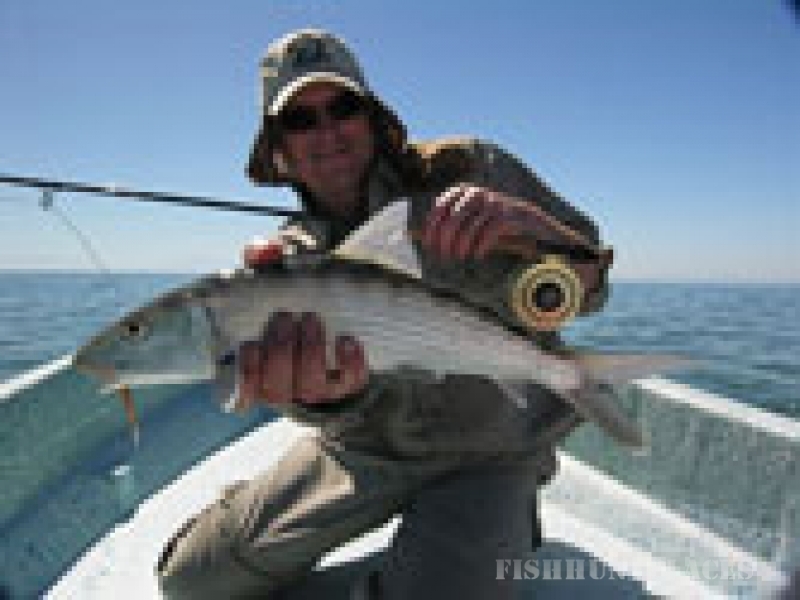 We will give you some basic guidance and directions, and then you are off for your own bonefish and nature adventure! Permit, bonefish and tarpon are always released; some snook, snapper, barracuda, & grouper are kept for the table. 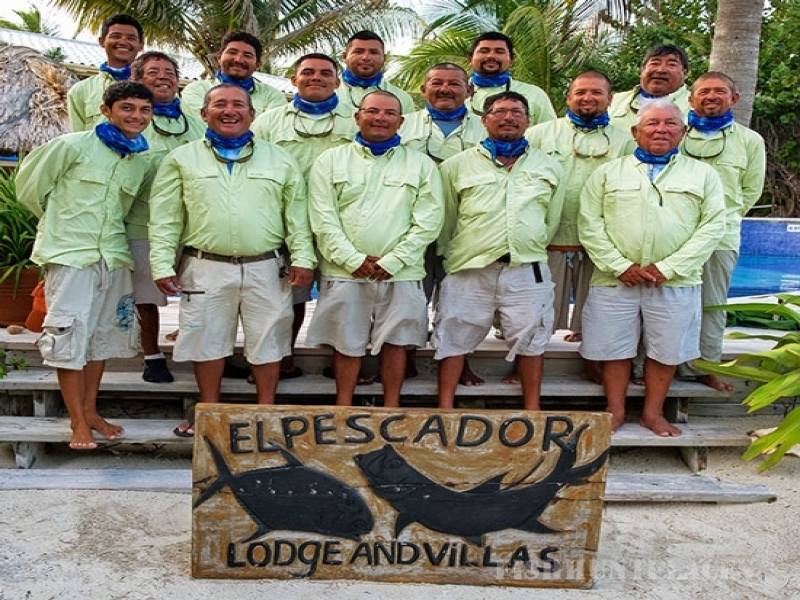 Approaching four decades of serving avid anglers, El Pescador offers world class diving, snorkeling, majestic Maya ruins, cave tubing, zip lines, and eco-adventures galore. So bring the whole family or group and explore the mystic beauty of the Caribbean and Central America.